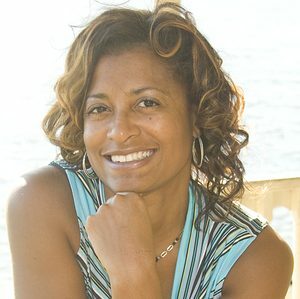 Meet Dana Sanders, founder of eCom Exclusive and Featured Business Owner at SCORE Chicago this week. Learn how she started and what tips she has for your success. eCom Exclusive provides digital resources for eCommerce Entrepreneurs and Online Marketplace Sellers. Do you sell on Amazon, eBay, Etsy or another marketplace platform? Do you have your own eCommerce website? Are you into drop shipping, wholesaling, private labeling, or retail or online arbitrage? Perhaps you’re an aspiring entrepreneur interested in learning how to get started selling physical products online. If so, we have something for you. After years of running an Online Marketing business, I developed an interest in eCommerce. I became a professional seller where I focused on finding in-demand products that sold on the Amazon Marketplace. I built this business into a six-figure revenue producing machine, while having fun doing it. However, I started feeling an itch to do something that used more of my digital marketing talents and incorporated many of the things I loved. Building websites, affiliate marketing, online video production, and digital content marketing were all things I was good at and enjoyed that I wanted to add to my eCommerce business. Thus, eComExclusive.com was born. Our clients are independent eCommerce entrepreneurs and Online Marketplace sellers. We provide a number of digital resources for setting up, running, and growing online retail businesses. We research and curate articles; interview industry experts and successful sellers; provide practical and actionable strategies in the form of tutorials, digital courses and masterclasses; and publish an online Business Directory where we connect brands that offer business tools or services to the online selling community. My biggest challenge is staying focused on the myriad of priorities that constantly compete for my attention. I have a creative brain so new ideas about where I want to take my business are all in there. The hardest part for me is executing them all. In addition, because I love learning, I have to stay disciplined to avoid focusing on just getting more information. Learning has its place, but it’s important to spend your most productive time taking the actions that will generate revenue. I would advise other entrepreneurs to not try to do everything themselves. Focus on your core strengths and then build a team behind you who can help you with those aspects of your business that are challenging for you to implement. Learn how to leverage the skills, time and talents of others through outsourcing to assist you to get the necessary tasks done. Best of all, it frees you up to dedicate yourself to those areas of your business where you offer the most value. My SCORE business mentor, Peg Corwin, has been a blessing. She’s helped me to process the myriad of options I was considering as I evaluated the next steps to take within my business. Peg provided an objective point of view during those times when I most desperately needed clarity. Peg has provided accountability during our regular mentoring sessions which have helped me to stay focused with the goals that I’ve set. She has imparted practical wisdom and relevant experience about best practices, things to avoid and opportunities for growth. All of the support provided so generously by Peg has been so invaluable to me in the launch of my online business startup.